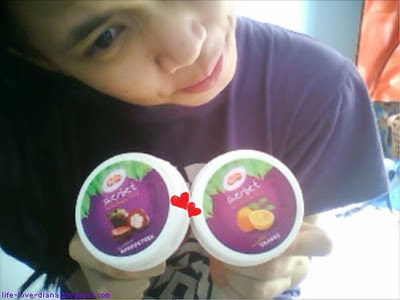 I've tried the Magnolia Sherbet Ice-cream after I read Chuckei's blog . 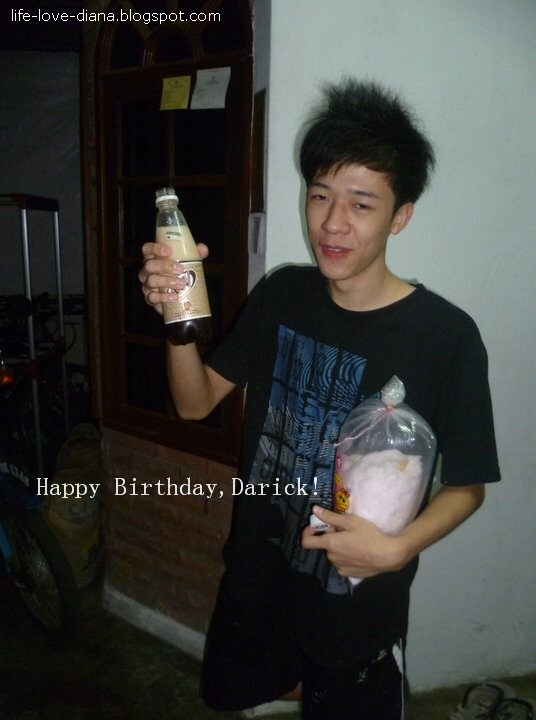 It taste nice. Especially mangosten , orange and lychee.I don't really like Melon . You can have a try next time. 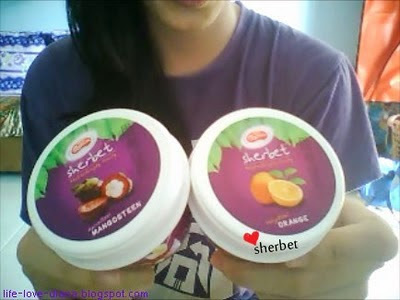 I'm really in love with those Sherbet ! It's mangosten with orange ! I don't know what happen to my friends these few days . Keep calling me in the midnight . Sorry ya, I sudah sleep so no pick up ur call . 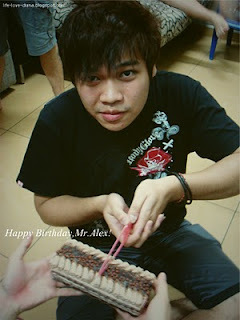 =) Next time call earlier ya ? 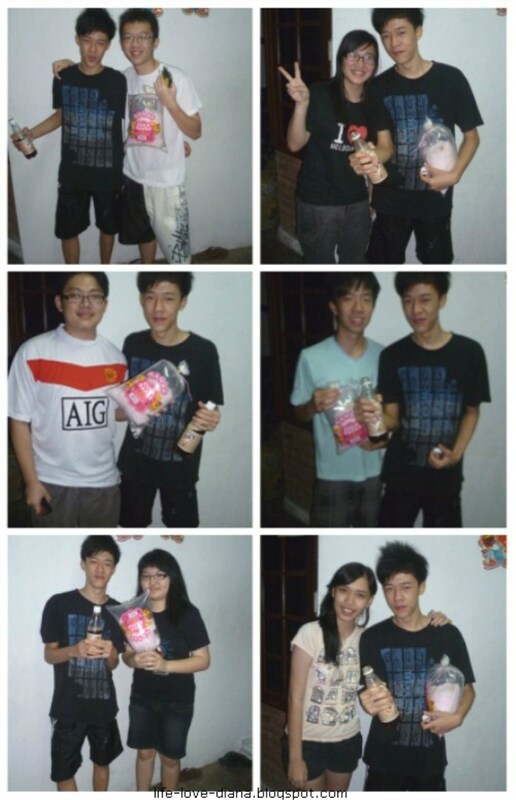 Haha ..
Kinda busy in January,because lots of my friends born in this month ! If I'm not wrong,there are 7 of them born in this month. 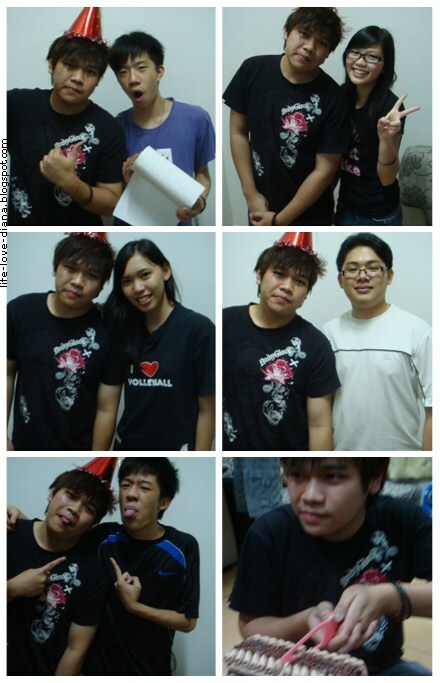 So,we almost hang out in every night to celebrate birthday together.Haha. Here come the King of Jan ----Mr. Weng ! Yeah,he's the first one among my friends.We actually did give him a suprise,but I'm not sure how was his feeling.Because he used to play the music for us all the night.Thx ya.Our birthday cake was special . Taa-daa,ice-cream cake ! Chocolate favor if I'm not wrong.Although I don't like chocolate much,but I still had it.You know la,must give face eh.You're lucky because it's not fruit cake =) Sometimes really felt sorry to my friends because I did not eat the cake.The reason is,most of them order fruit cake or some cake taste nice to them but not to me.Thats why I never touch it.Haha .Felt guity ! The pic of us with him =) We are so noisy..We make others wake up from their dreamland.Sory,We didn't meant it .Please forgive us ya. 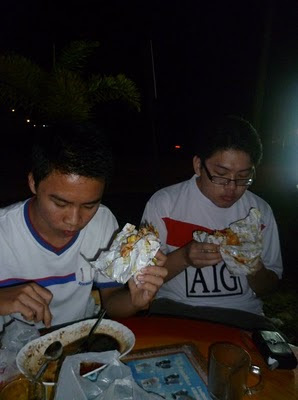 I think we love to do this kind of things.Although in the car also can scream like nobody.Ohh,especially Jason Teoh ! He's the one will start to shout then we start to follow.Hahaha.Kinda noob ya.Never mind,at least we're enjoy with it. Just back from hospital on this noon . 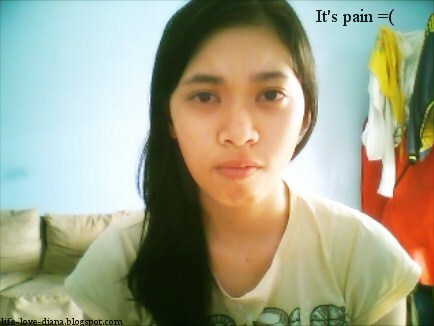 Had an appointment with the dentist =) I'm having tooth extraction . It's kinda pain la.I forget last time don't know who told me that it's not painful. You're totally WRONG ! Damn pain and I hate it. This is one of the frightened things in my life . Yea , I'm scared ! Now one down,I still have three to go .Ouch =( Before march I need to clear it,if not the dentist gonna delay my time to put on braces . I don't want it delay anymore.I want a nice teeth . teehee =P Gonna meet up the dentist next week again . Haix.So bad. CNY coming soon. Haven't go out shopping to grab any new clothes yet.It's still not the time for me.Haha.What's the plan for CNY ? I'm not sure with it yet.If I'm not going anywhere,for sure will join my friends to gamble .Haha. That's a must for CNY ,and some beer ! I just wish that my dad's plan is on . Haix,I don't want to stay at here la ! It's bored ....I'm trying to persuade dad buy Sony T99 for me. Hope that it's work.If not I will ask my dad no need give me angpau ,just buy me that camera. Hahaha .I really need it much =8 .